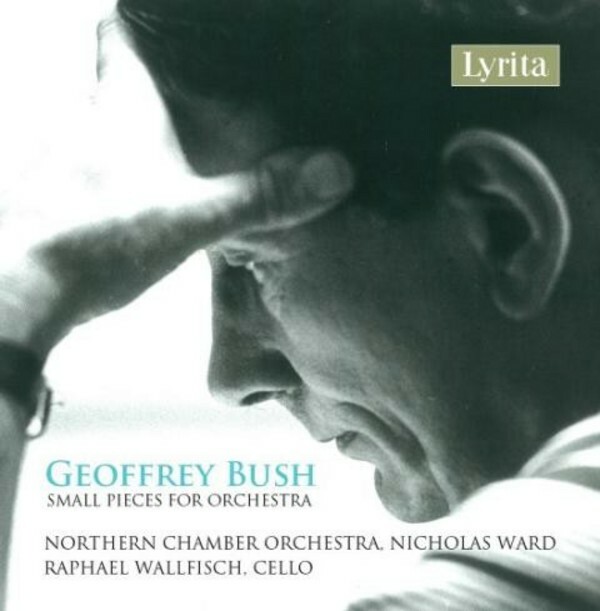 This CD for Lyrita includes the first-ever recording of Geoffrey Bush's Sinfonietta Concertante for Cello, with Raphael Wallfisch. Though composition was foremost among his many skills, Bush was something of an all-rounder. He performed as both pianist and organist, made regular broadcasts for the BBC and was also a successful writer. The works included on this disc provide a representative selection of Bush�s writing for chamber orchestra. The Northern Chamber Orchestra was formed in the 1960s and has gained a formidable reputation from its engaging and exciting concerts, tackling a wide range of repertoire, from Corelli to Stravinsky and beyond. The members of the orchestra are distinguished chamber musicians who play as principals with other orchestras and regularly appear as soloists. Raphael Wallfisch is one of the most celebrated cellists performing on the international stage. He was born in London into a family of distinguished musicians, his mother the cellist Anita Lasker-Wallfisch and his father the pianist Peter Wallfisch. Britain's leading composers have worked closely with Raphael, many having written works especially for him. These include Sir Peter Maxwell Davies, Kenneth Leighton, James MacMillan, John Metcalf, Paul Patterson, Robert Simpson, Robert Saxton, Roger Smalley, Giles Swayne, John Tavener and Adrian Williams.